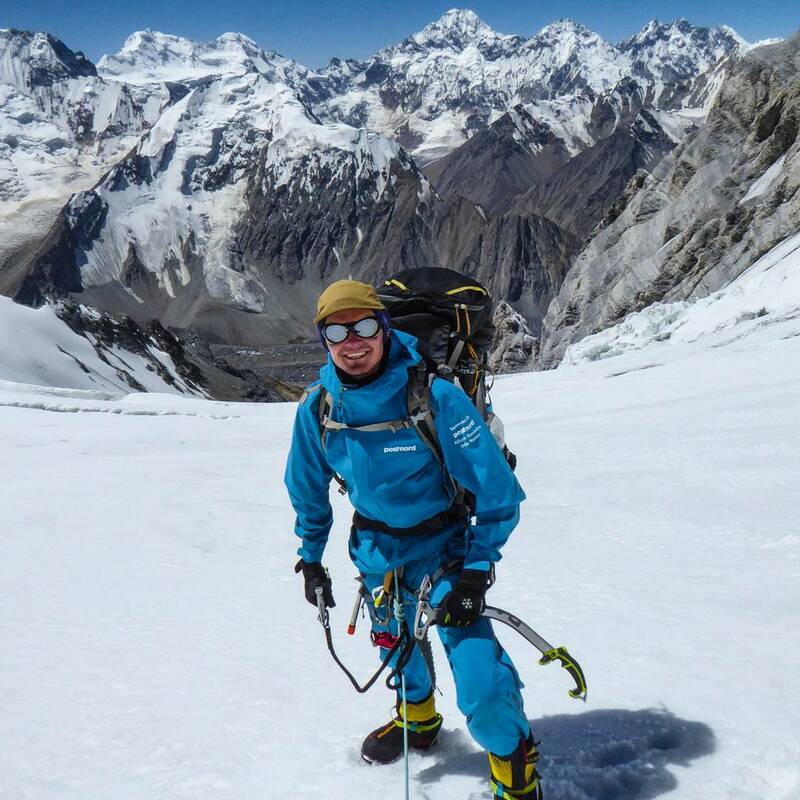 I dedicate a big part of my life to collecting summits all over the world and I wanted to share my main reasons why collecting high mountains is such a great thing to dedicate yourself to. The goal is very clear and the reward is topped off with a usually very beautiful 360 degree view. I always take time to take in the landscape and taking a few summit photos and videos. The harder the challenge the stronger the internal reward. There is no spectators in this arena but its still your arena and it can be very emotional, on my hardest solo ascents I have been screaming out loud like I would have scored the final goal in a world cup soccer final on other summits I have been crying because it can be a very emotional experience specially on the solo summits. The energy received at the summit can also make the descent easier. A small warning: the understanding of that the most accidents happen on the way down is also very important to be aware off. Willpower is needed to succeed but it can also kill you, if you are pushing yourself to hard and dont have enough energy to make it down. I make better choices in everyday life when I have big mountain plans. I focus on training, recovery, nutrition, plenty of sleep and my mental health. All those components need to be in place during the preseason and that season is pretty much the hole year when I am not on the mountains. Living an active lifestyle also prevents aging and contributes to a better mental health and prevents depression symptoms. The skill to survive outside of society in some of the toughest and coldest conditions this planet can present and on that pushing my body in the oxygen low environment that the high mountains presents. These situations are usually uncomfortable and presents great opportunity for mental practice. To still be grateful of life and keeping a positive state of mind is the way to push through hard moments for me and never let tiredness and fatigue affect how I view and respond to my climbing parters. If I can master this at altitude it will be easy to maintain in everday life and I do measure myself in the way I treat other people. Sometimes I dont summit. To learn when to cancel a summit attempt is very important. It can be a great practice in recognizing the ego and having a bigger perspective on life when climbs dont go my way. Accepting defeat and improving for the next project is the way I choose. Make the summit or get new insights about yourself, the route, the weather or the agency that is providing your climb. In life we all fail sometimes and learning to deal failure is one of the best ways to improve in any area. I feel most alive above 6000m were the air is thin, surviving is a struggle and the views are worldclass. Collecting these experiences have a greater value to me then owning any material thing. In a environment were there is no room for mistakes I learn to avoid them and prevent them, when you know the consequences can be death it shifts your focus. This is something very hard to simulate in society. Everything from equipment to partners needs to be overseen and potential risks considered. When a misstake happens its usually not the first that kills you but the following ones that are a result from the first one, so recognize them early from early signs of high altitude sickness to lack of your own knowledge about to the mountain. Learning to take real responsibility for your actions is more important then ever when living in a society that promotes mediocracy and consumption culture. The adventure in it self and all the unknown things and meetings that happen as a result from taking the decision to commit to a mountain project. 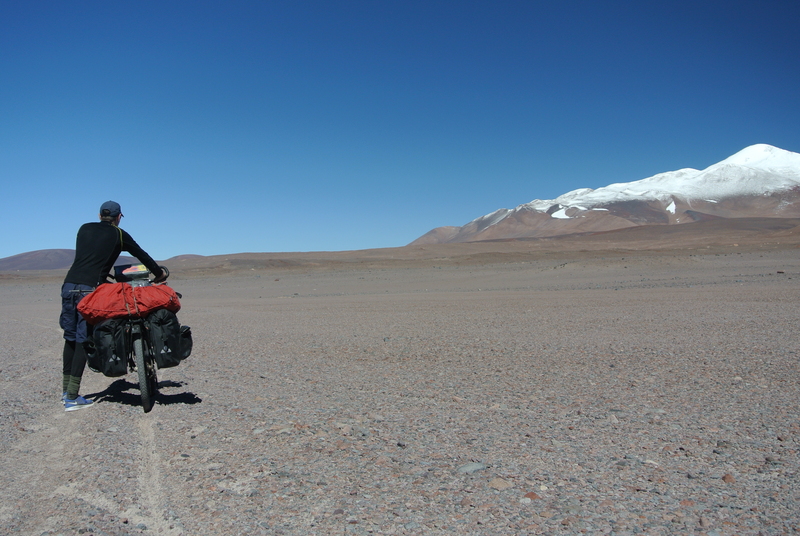 Usually visiting high mountains above 5000m require quite a bit of travelling. Enjoy the travel experience and the places you get to visit along the way. The journey to the mountains is more then only transportation if you want it to be so. Many mountain projects I have approached by bicycle carrying all the gear on the bicycle. I can recommend this approach for the added travel and adventure reward that this provides. 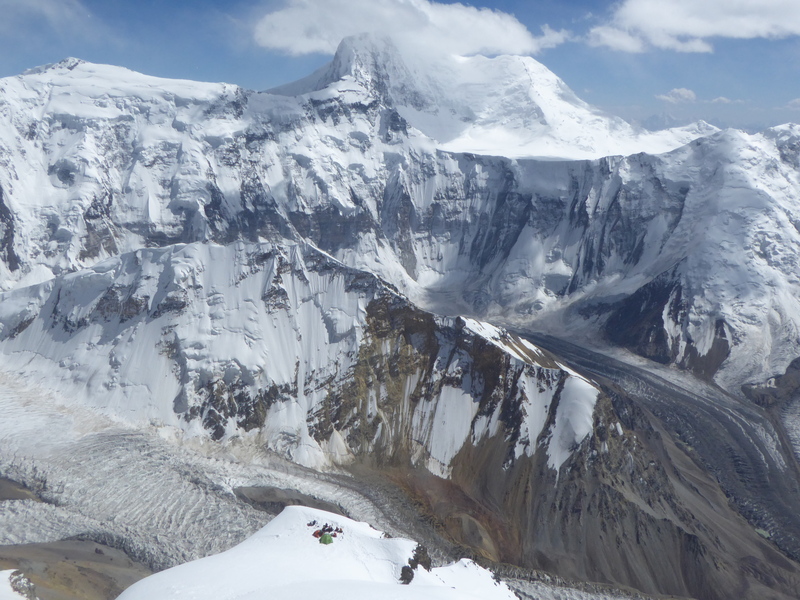 Because the greatest campspots with the most breathtaking views are all above 6000m. Full mountain collection can be found here.